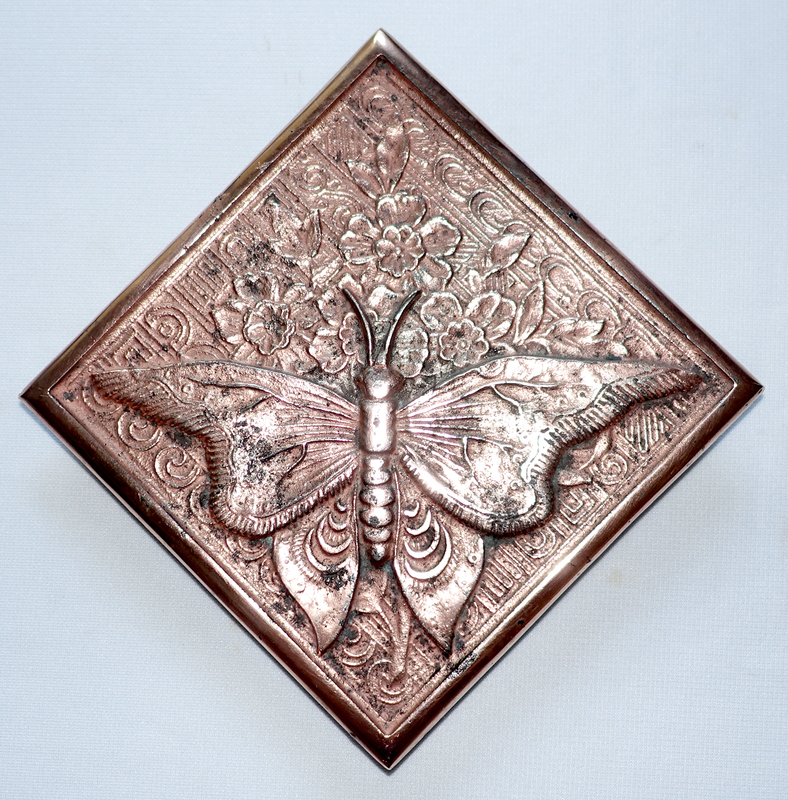 This beautiful advertising trivet is 5 1/8″ square, created of copper plated cast iron. Much of the original copper plating remains. 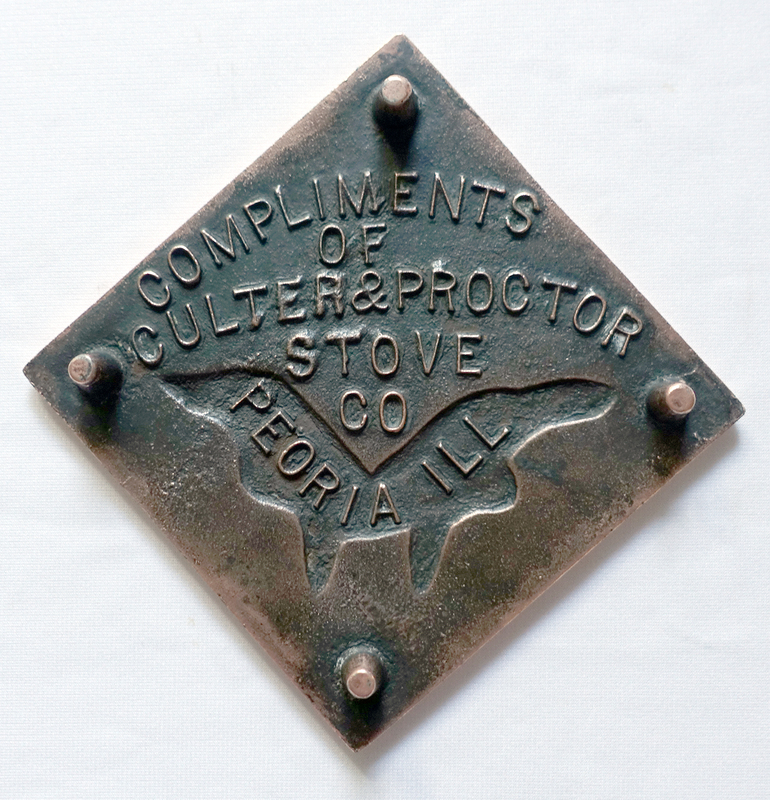 Culter & Proctor of Peoria, Illinois was a smaller stove manufacturer in business from the 1860s to the 1910s. They produced a complete line of cooking and heating stoves for wood, coal, and gas. I can imagine this stylish woman receiving one of these trivets along with her new stove! 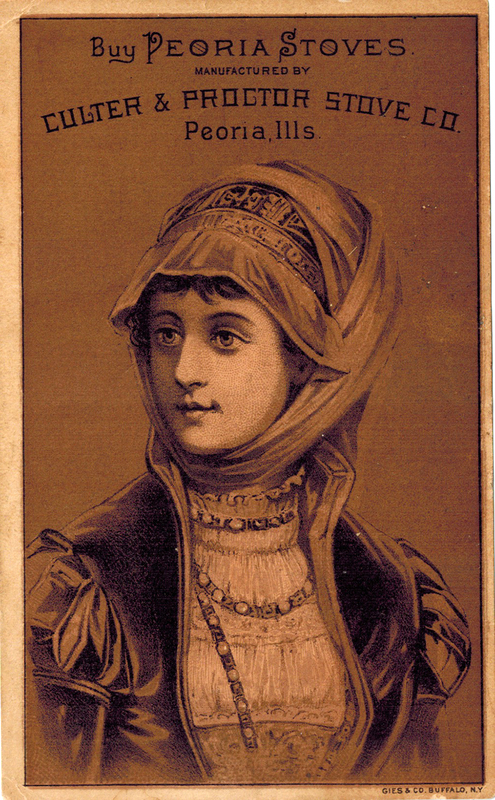 This Victorian era trade card measures 3 1/2″ x 5″. 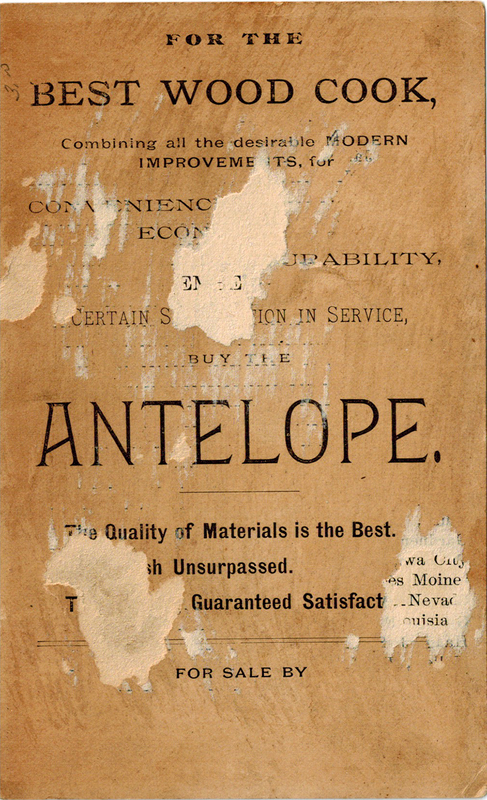 The back shows damage after being soaked and removed from a card album. Most cards were made of a combination of paper pulp and rag, similar in composition to paper money, and have proven extremely durable. 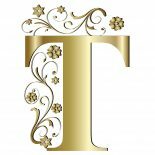 This entry was posted on July 23, 2016 by Lynn Rosack in Antique Trivets & Stands and tagged copper plated cast iron, Culter & Proctor.